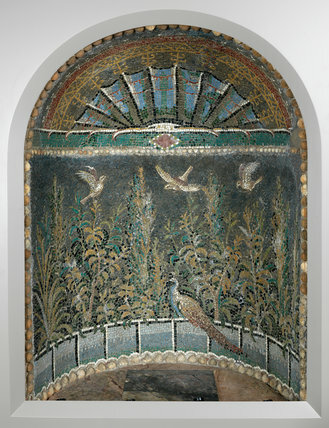 plaster, painted with red ochre, red jasper, obsidian, quartzite, glass and Egyptian blue tesserae, and shell. Height 1.10m, width 0.80m, depth 0.535m, AD 1-100. Early Roman Period.